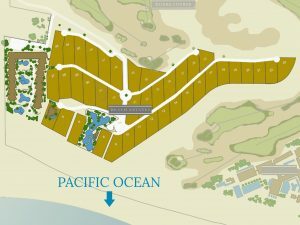 These home sites are located on the southwest corner of the development, just a short stroll from the Pacific Ocean and its miles of untouched coastline. The Beach Estates offer 40 home sites, all of which are close to an acre in size. The rows of Beach Estate lots are tiered, allowing each property to capture unobstructed views of the beach, golf and surf.